Valentin have been building a reputation as DJ for years, playing to dancefloors worldwide , Huedo is one of the well known Ibiza djs, and one of the Ibiza´s hottest dj export. The person behind the cafe del mar decks for 8 years and now one of the creative minds behind ibiza Sonica radio and Blue Marlin Ibiza dj outfit. Valentin Huedo dj, compiler, broadcaster and music producer. Born in Ibiza in 1984, he begins his relationship with electronic music at the age of 15, where late 90`s makes his first dj sessions as a resident for youth events. During the next three years he starts to break through the Ibiza Winter circuit. In 2002, with only 18 years old, he wins a dj contest in the trendiest club in Ibiza, debuting at Club Pacha in front of more than 2.000 people and sharing djbooth with Pippi, Cesar de Melero and Jose de Divina, among others. Just the motivation he needed to make a career as dj. In the same year he plays for the first time in the famous Club Space, making him a rising star of the scene of Ibiza. Continuing to expand his curriculum with dates at Bambuddha Groove, Mao Rooms and Blue Marlin. Until in 2004 that he begins to play in the well-known Café Del Mar. In the summer of 2005 Valentin is appointed as official resident dj of Café Del Mar, making him as one of the leading DJs on the island to date. From that moment, his impact is international, playing in over twenty countries, including Events such as the festival Music For Dreams (sharing lineup with Carl Craig, Radio Slave and Jose Gonzalez), and tours to India, China , UAE and Europe. He also participates in the opening parties of the Club Space in 2007, 2008, 2009 and 2010, and also becomes resident dj of Kehakuma weekly parties. In 2007 he debuts as a compiler, signing Café Del Mar - Chillhouse Mix 5 (Café Del Mar Music), a double-CD with sales exceeding the 30.000 copies worldwide. A year later, he presents his first release as producer, Bale Jaro, an EP for Ibiza label Extremely House Music, including Rickzor collaboration in one of the cuts. In 2010 Valentin continues the series of compilations of todayʼs hot spot for the most “Chic” people in Ibiza, Blue Marlin, compiling and mixing Blue Marlin Ibiza Volume 4,5 and 7 reaching number 1 on iTunes Netherlands in the Dance category. Following the success of the compilations and his two dj residences at Cafe del Mar, and in Blue Marlin, acknowledgments begin to arrive, first in the DejaayMagʼs 09 Awards , named Best Lounge Club Redisent Dj in Spain 2009, and then at the DJ Awards gives him the award for Best resident DJ in Ibiza in 2010 and 2011. His role as a radio DJ starts running a daily radio program at Radio Fantasy Italy. Until in 2007 he joins the team of Ibiza Sonica Radio, where he currently runs his own radio show "Zoologica" every day from 10 to 11 am, being an international reference in regard to news releases and electronic quality sounds. 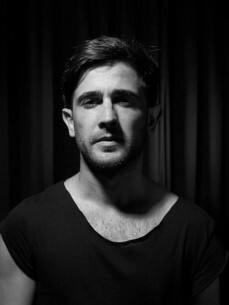 "Valentin has redefined the Balearic sound of his predecessors"